Product Description: How can something look so good but taste so bad in Jelly Lab by Mega Bloks Despicable Me™? You can build your own Jelly Lab full of moveable parts and jars and create your own sticky situation. Put together your Minion and get him ready for his job at the Lab. Things can get a little messy at the Lab, as you can see by the jelly stains on the Minion’s overalls! 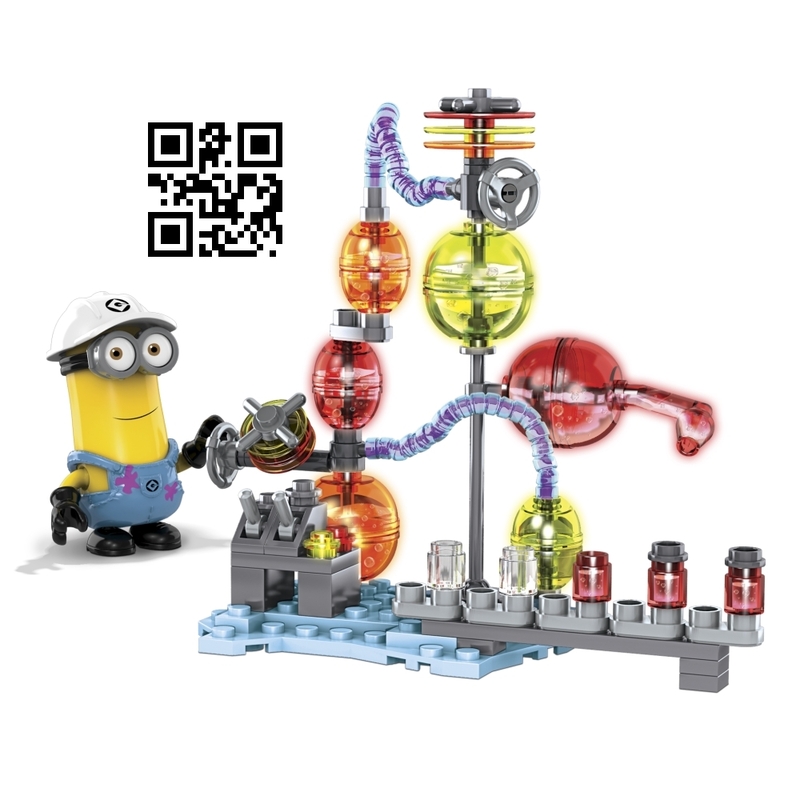 Features: • One buildable Minion character with interchangeable parts, including overalls, goggles, hat, arms and feet • Fully buildable Jelly Lab with moveable levers, valves, jars and tubes • Collect them all and build your own mischief!